This is fearful cartoon character which is loved very mush by children who like to be scared. It has big teeth in its mouth and a frightening look under shaggy eyebrows. 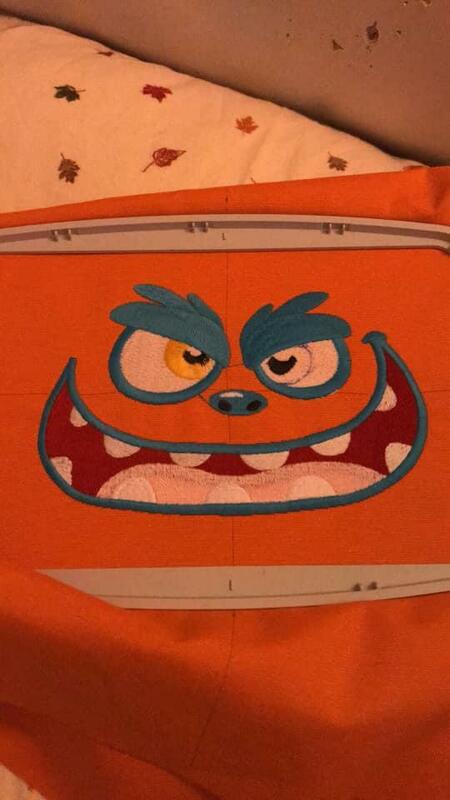 Author used very suitable background for Monster free embroidery design: bright fabric underlines impressive sample. It is still on hoop but embroidery is ready: author just need to remove and iron it..